In the heart of SoHo, on the corner of Prince and Greene Streets, awaits this superb semi-furnished full floor 2,500SF authentic loft. Well worth the 5 story walk up, the gorgeous home was recently renovated and features four exposures, beautiful cast iron columns, exposed brick, wood beamed ceilings and oversized wood-framed windows that offer an abundance of light throughout. 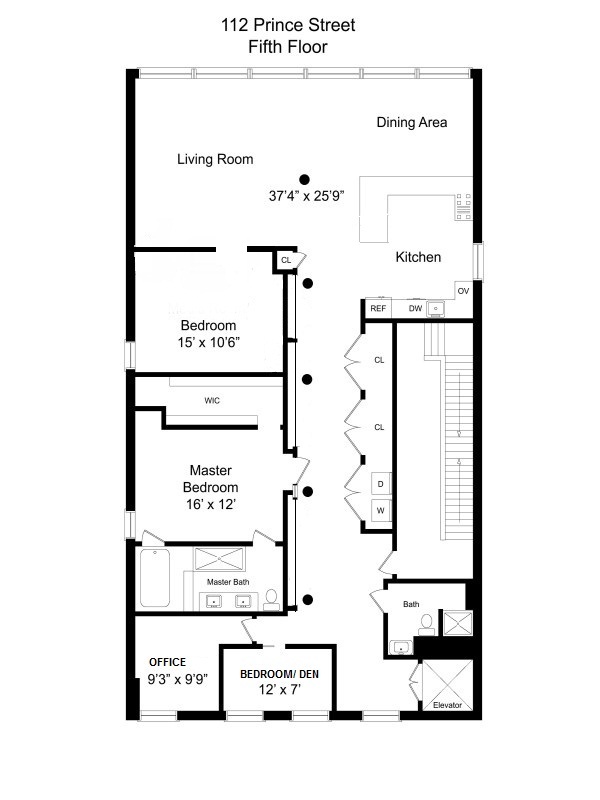 Currently configured with 2 bedrooms and 2 full bathrooms there is flexibility for a 3rd or 4th bedroom if needed; as there are two smaller rooms that can be used as additional bedrooms or as a den/home office. The massive open living room, which boasts 11' ceilings, comes equipped with a fully integrated audio/visual system with surround sound, high definition projector and electronic drop down movie screen. The windowed kitchen is truly fit for a chef complete with top-grade professional appliances including Subzero, Wolf, Fisher Paykel and Miele. The master bedroom suite has a walk-in closet and ensuite bathroom with luxurious jacuzzi tub and separate shower. A laundry room with Miele washer/dryer, 2-zone central heating and cooling as well extra-large floor to ceiling storage closets complete this wonderful loft.